Jaipur is a city of approximately 4 million people and the capital of the Indian state of Rajasthan. As part of the Unstoppable initiative, Connection Pointe is partnering with ASSI to expand into this beautiful, but needy, city. The 150 mile drive from Delhi took 6.5 hours due to some intense, chaotic Indian traffic. 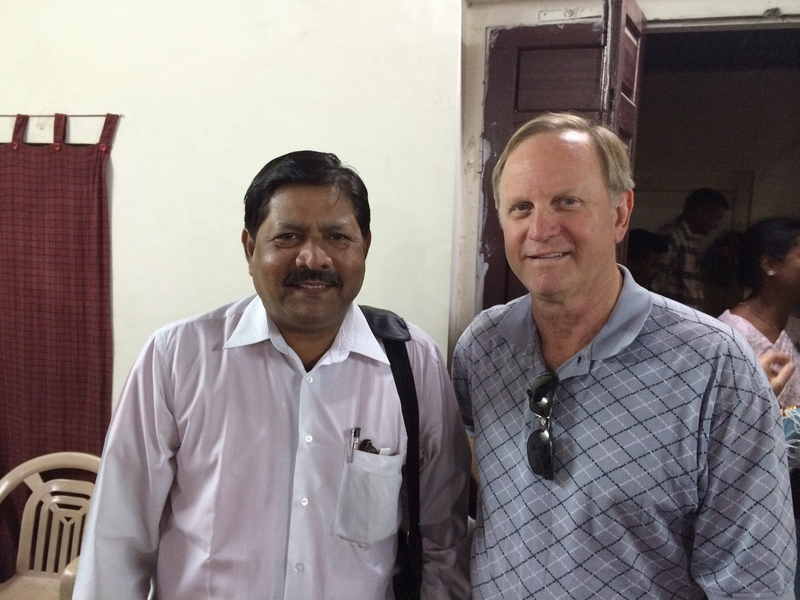 We had the privilege of meeting Pastor Mahaveer and his wife Manjulata who will be leading this effort. ASSI arranged a meeting of about 30 leading pastors in the city; during this worship time Victor John introduced ASSI, told of their work across north India and explained their desire to work together. It was, in my opinion, a wise, trust-building introduction. Present for the meeting was Pastor Walter of whom it may be said, “I bear on my body the marks of Jesus.” (Galatians 6:17b). Seven years ago, he was brutally attacked by radical Hindus.